The centre boasts a range of amenities including: 24-hour access and security; administrative and IT support; reception services; bike racks and showers; meeting rooms; and many more, all in a great location in Copenhagen. This centre is located in Østerbro, a district which takes its name from being near the old eastern gate of the city, and translates roughly into the Eastern borough. There are shops, cafes, and restaurants all within walking distance of the centre and it is easily accessible from a number of regularly serviced transport links. The fast-growing Oerestad urban district in southern Copenhagen is home to the distinctive-looking Fairway House Centre. The centre is on the fifth floor of the building, with many workspaces benefiting from large windows letting in plenty of natural light. This dynamic district, in the heart of Medicon Valley, is a great business location thanks to its exceptional infrastructure and accessibility. Many large corporations have moved to the area, which is noted for its health and pharmaceutical research activities and major university hospitals. Other business sectors include construction and hotels. The centre is highly accessible as it's right next to the E20 highway and within walking distance of the metro station. Copenhagen International Airport is five minutes away by car or train. This listed and preserved building dates back to 1866 and is located in the old city centre of Copenhagen with wonderful views of Kings Square. It is a highly sought-after site owing to its accessibility and convenience. The unique and prestigious office space includes round balconies and oval rooms. An on-site bar and bistro ensures there's always an option for lunch meetings, or after-work socialising. A specialised office block that excels in delivering a fine level of service and helps its clients benefit their businesses by providing high quality services and a number of different amenities. This centre offers 24 hour security, a modern phone system, high speed internet and a fully manned reception. Printing, copying and scanning are all services that are provided and the offices are cleaned on a daily basis. The centre is close to the main station of Fuglebakken , offering major train links around Denmark whereas DSB underground is also close by for city links. Copenhagen Airport is also within a short train ride or drive and offers links internationally. This unique and distinctive building is home to the centre's fifth-floor services. Benefiting from stylish, light office spaces and a good range of business support services, businesses can work efficiently and comfortably here. The area is home to health research facilities, hospitals and hotels. Copenhagen airport is very close; perfect for those with international clients. In addition, there are lots of transport links, making the space strategically commutable. A well presented modern property with many excellent features such as its internet café, canteen, parking and relaxing lounge area. It also offers recently refurbished offices with comprehensive servicing and stands in a green, business park environment. Soborg is north-west of central Copenhagen and is close to motorway junctions and train services. Just a short drive away, you can find an ice skating rink and Gladsaxe Stadion. Located in the Penthouse and 3 floors of a renovated and refurbished historical docklands warehouse building offering light and airy floors with high ceilings and large windows. The space offers a professional working environment in a relaxed setting catering for individuals, SMEs and corporates, ranging from membership of the bespoke Business Club or with your own private office. The private offices come fully furnished and ready to move into. With plenty of natural light, large windows, and an excellent location close to retail, open spaces and a well-known market, this serviced office centre is the perfect home for your business. The building is home to a variety of other companies, and is conveniently close to restaurants and transport links. The space is accessible 24/7, and offers high speed internet, videoconference facilities, IT and administrative support and breakout/lounge spaces. 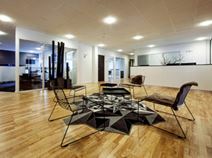 Located in a busy and lively area of Copenhagen, this modern and stylish business centre offers contemporary office solutions designed to meet your business needs. Offices and meeting rooms come fully equipped and ready to use. The centre provides a range of refreshments to keep you going, including tea and coffee. Other facilities include CCTV, advanced alarm system and a cleaning service. You will have access to the building 24/7 so you can work flexibly. The location helps you benefit from a variety of local amenities, including bars, restaurants, cafes, shopping and fast food options. This stylish, early 20th century building has beautiful interiors which retain its period character and which are complemented by contemporary art and furnishings. The centre offers full servicing with car parking and showers and has some lovely views over the lakes. It is ideally located, in the heart of Copenhagen near the Tivoli gardens, the central rail station, the town square and a huge range of shops, restaurants, bars and leisure facilities. Housed inside the unique Richs building with its characterful tower, this centre offers office accommodation right on Town Hall Square with many period features including its beautiful wooden floors. The offices are fully furnished and serviced, with electrical adjustable tables, air-conditioning, IP telephony and much more. This premium property is situated close to the rail station and is minutes from a variety of bus routes, giving you convenient alternatives to move in and around this stunning city. An impressive centre set on the edge of the water in Copenhagen, providing beautiful views over the harbour. Here, there are plenty of amenities such as convenient parking, high-speed internet, front desk service and a luxurious business lounge. In addition, the area is filled with local amenities including restaurants, retailers and prestigious hotels. The Copenhagen Airport can be accessed in 15-minutes. 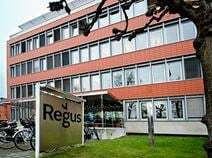 Situated in the heart of Copenhagen this business centre provides professional and efficient services including taxation services, pay roll, financial consultation support and much more. The centre provides great support for new aspiring start up businesses, ensuring your operations are running smoothly and without any hassle. Your membership grants you access to meeting rooms available on-site, so you can have a convenient and easy space to meet internally or with clients and partners. Located within Denmark"s largest airport this business centre is the ideal place to work with anyone coming in from overseas or from the capital. It is also a location that is close to finance, technology, pharmaceutical, and aviation companies. The workspace itself is serviced with experienced and secure IT support so that your business can run efficiently. With 24 hour access and shared internet will ensure you stay well connected, no matter what time of day. 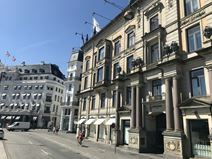 This centre is situated in the highly cultural square of central Copenhagen with mansions, embassies, the 5star hotel, d'Angleterre, and the Royal Danish Theatre surrounding the square. This centre is ideal for meetings, receptions, and impeccable dinners. This centre is only a two minute walk from the Kongens Nytorv metro station, making it incredibly accessible and in 2009, 10 years of metro construction began at Kongens Nytorv for the new METRO city ring. 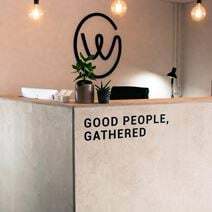 This stunning new coworking centre found in the heart of Copenhagen allows English club culture to meet Scandinavian design and decor, to create a refreshing collaborative atmosphere, where you and your business can grow and expand. There are several facilities in the centre, including meeting rooms of different sizes holding up to 20 people. High speed internet runs throughout the building, with 24/7 access allowing you to work flexibly. Friendly staff are on-site to provide IT support, light secretarial support and concierge services. This is an exciting and original contemporary building with Philippe Starck designed interiors, cutting-edge IT systems and exceptional facilities. The centre offers bespoke servicing including translation, concierge services and secretarial assistance. It is blessed with a large rooftop terrace, a gym, showers and ample secure parking. Situated in the attractive Christianshavn area, it is close to metro and railway stations and is surrounded by charming cafés, shops and bars. An astonishing period building which has been beautifully converted, and has a host of conveniences such as the in-house internet café, lounge area, roof terrace with views over the city and on-site dry cleaning service. Car parking is also available and the property is to be found in the old Latin Quarter of the city, close to the harbour and railway station and within easy distance of the airport. Located in Denmark's very own Silicon Valley, this business centre is found in an impressive business park, Lautrup, with a vast number of businesses. There are around 10,000 IT and tech companies with an additional 5,000 working in life sciences, research and development and medico production. The Copenhagen Engineering Academy is just around the corner, which has a history of collaborating with the local industry within the area. You can choose from a huge selection of impressive business spaces including fully furnished and serviced offices, open collaborative workspaces and you can benefit from this prestigious business address using virtual office options. Workspaces are furnished to the highest quality, with excellent equipment giving you everything you and your business could need. Close to the centre of Copenhagen, the airport, metro station, the motorway and Amager Strandpark this business centre provides fully furnished and serviced office space suitable for one to 10 people spread over four floors. The space offers 60 bright fully furnished offices with one to 10 workspaces spread over four floors. On top of it all we have a magnificent roof terrace with a fantastic view of Øresund. Meeting rooms access is also available as are wonderful views from the rooftop terrace. Available at this modern business centre are a total of 120 workspaces and a range of shared facilities that include meeting rooms, a professional server room, on-site parking and access to a patio area. You have free access to use the facilities and services of the house, which include: meeting rooms, access 24/7/365, alarm system, electricity, water & heating, delicious and flexible coffee/tea arrangement, lunch arrangements, copy/print, free parking, cleaning, GB Fiber Connection. This is a high specification modern centre with an impressive glass atrium and a variety of serviced offices to let with use of conference facilities, showers and parking. It is 10 minutes drive to the north-west of central Copenhagen and is an easy distance from the airport. There is a museum and an art gallery within 5 minutes walk, as well as a supermarket just across the road that provides all the mundane amenities you could require. This centre is well situated near central Copenhagen and features numerous professional services to help your business develop. Meeting rooms, conferencing facilities, high-speed internet and break-out lounges are all available at this impressive business centre. In addition, the area is well connected through public transport, making it easy to commute to work using the bus or train. Local amenities are in abundance around central Copenhagen as well, providing great options for local cuisine, trendy bars and other retail outlets. A contemporary centre situated in the historic district of Copenhagen, providing a range of furnished office-spaces with the added bonus of choice between office sizes, easily tailored to suit individual business requirements. All work-spaces benefit from natural light throughout the day and also provide access to equipped meeting rooms, high-speed WiFi and a gorgeous rooftop terrace. The local area is filled with amenities to enjoy lunch or beverages, as well as convenience stores readily available at your disposal. Transport links are substantial too, with easy road and rail connections located in the local area. This centre is much more than one of Copenhagen’s most impressive view across the canal towards Thorvaldsens Museum and Christiansborg - The Danish Parliment. This space, located on Nybrogade offers a premises with high ceilings and a clear reference to the rococo era. The rooms do not stand alone, the decor is exclusive and all interior is chosen and designed with care and respect for the history of the building. A centre that would suit both start up companies and experienced corporations. It offers a wide range of offices that come in a variety of different sizes and can be personalised to boost the portfolio of the business. 24 hour security is available with CCTV and intercom systems. Meeting rooms can be booked by the hour and well trained staff are there to ensure that the day to day running of the centre goes smoothly. High speed internet and day to day cleaning of the office are all supplied too. 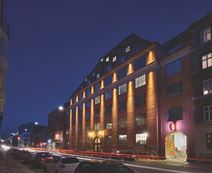 Situated in one of the most business friendly parts of Copenhagen , the centre offers great versatility for business networking with numerous companies being close by. There are several bars and restaurants in the proximity all offering a good social life. Nearby is Ørestad St. (Metro), a short five minute walk and the airport is only a thirty minute drive. An eye-catching contemporary property equipped with designer furnishings and modern art works and with a stunning reception area. There are numerous meeting rooms and a restaurant with a large outdoor terrace with fantastic views over the city. The centre is also blessed with Wi-Fi, a business lounge, a shared kitchen and secure car parking. It is situated to the south of the city centre, near to local amenities and stations. Housed in one of Copenhagen’s most beautiful properties, only a few minutes’ walk from Kongens Nytorv Metro Station, this business centre offers modern shared workspace with a range of great amenities including meeting facilities, a lounge area, exposed beams and a roof terrace. You have free access to use the facilities, which include: access 24/7/365, alarm system, electricity, water & heating, delicious and flexible coffee/tea arrangement. This business centre offers both co-working space and serviced office space. This space prides itself on providing the personal and professional setting you deserve. The space is accessible 24/7, with a friendly on-site administration team to assist you with your telephone answering, mail handling and greeting. The centre is located in a prime location of Copenhagen, where there are plenty amenities surrounding the immediate area. This business centre offers flexible workspace solutions, with both serviced office space and co-working space available. The centre prides itself on providing the personal and professional setting your efforts deserve You can be supported by a friendly on-site admin team, who are happy to assist with your company's mail handling, telephone answering and greeting your clients. The closet bus station, Callisensvej, which 1-minute away by foot. The closest train station is Hellerup station, and this is a short 9-minute walk away. As you walk along Strandvejen. This is a sharp, brick and glass building with harbour views and a convenient business park setting. The centre is equipped with a lounge, showers, meeting rooms, an in-house internet café and up to the minute IT systems. It is situated to the north of the city centre with good motorway access, perfect for businesses with international clients. Just over the road, there is the Eksperimentarium: a science & technology museum with an ice-rink. 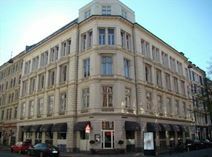 This quality office hotel is located in Valby, close to two train stations and 15 minutes from the airport. It is a highly sought after location, owing to the site's high accessibility and abundance of local public interest spots, such as the nearby Søndermarken with art exhibitions and events.This is a modern development offering a wide range of spaces to suit any business. A variety of support services is available, including a large canteen, mailbox facilities and meeting room access. This brand new and innovative business centre is in the heart of Copenhagen. With an impressive 33 offics, 60 hot desks and 5 conference rooms the workspaces come fully equipped and ready to use. Meeting rooms come with use of video conferencing, and soundproof phone booths are on offer for completely private phone calls. Beverages such as tea, coffee and soda are also provided by the centre. The centre is found in a highly desirable location, right next to Copenhagen's shopping area Strøget. The area has plenty to offer, including leisure activities, food options and shopping.